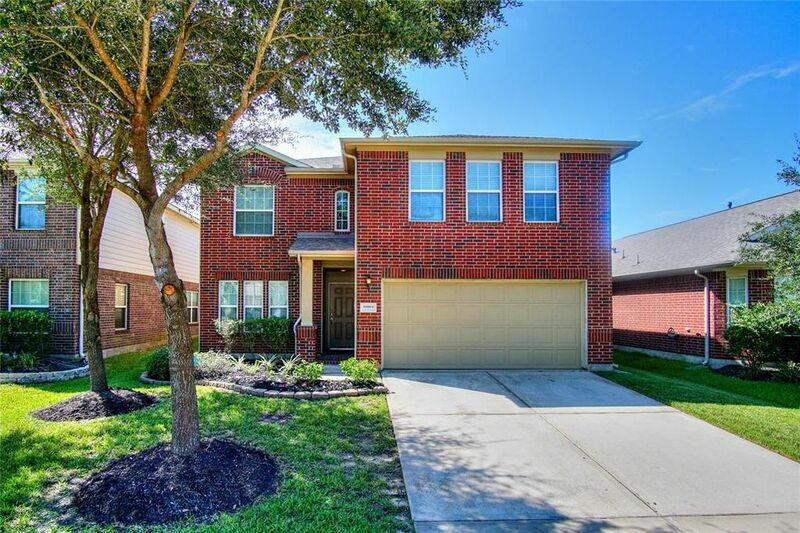 This gorgeous 4 bedroom 2.5 bath home is a wonderful find! Upon entry you are greeted by an elegant formal dining room perfect for all your entertaining needs! After passing through the entryway you come to a large family room featuring tile flooring, a cozy tile fronted fireplace & a wall of windows that shower the room in natural sunlight! Whipping up your favorite meals is a true pleasure in the beautiful kitchen equipped with tile flooring & backsplash, granite countertops, a large central island, a walk-in pantry & ample storage space! At the end of the day, withdraw to the spacious master suite complete with a wall of windows, a walk-in closet & a luxurious bathroom showcasing tile flooring, double sinks, a garden soaking tub & a tiled walk-in shower! The second floor houses a centrally located game room & all 3 secondary bedrooms! The home also has a backyard with a covered patio & plenty of green space for all your favorite outdoor activities! Do not miss out on this one! Directions: From I-10 W, exit Pederson, left on Pederson, at the traffic circle take the 1st exit on Kingsland Blvd, right on Willow Creek Farms, left on Willow Walk, Willow Walk Ln becomes Hidden Creek Falls, right on Walden Farms Ln, house is on the right.